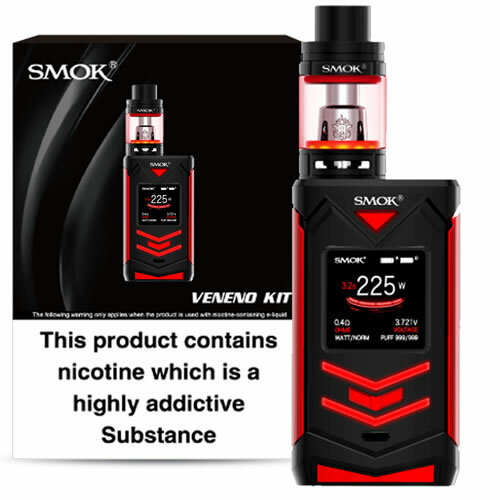 SMOK Veneno - BLACK RED FULL kit buy from NUCIG UK. All the controls you could ever want and excellent performance and vapour production. Like the features enabling you to change the colour / light displays. As a vaping device - everything that a vaper could hope for and more !